Designed for efficient performance, Plunger Pumps are defined as displacement pumps that are used at the place where smooth cylinder plunger moves from the place of seal and there is a stationary high pressure seal. 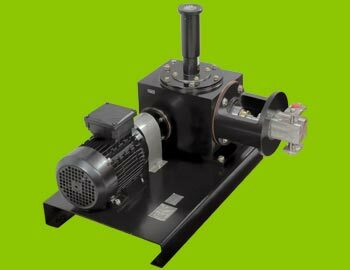 The mentioned presentation makes these pumps different from other piston pumps, thus make them enable them to work even in high pressures. Known as technically advanced instrument, the available range of pumps is considered as a highly acclaimed industrial metering pump. The basic principle behind working of the pumps is that these causes reverse motion of a plunger that creates pumping action. Taking an account on Reciprocating Pumps, these are described as a positive displacement pumps that are integrated with plunger pump, piston pump and diaphragm pump. These altogether assembled together to make the available range and compose them to be used at the place where there is handling of small quality of liquids required. 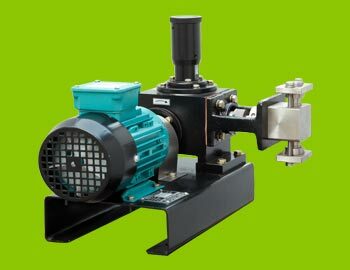 Moreover, these pumps are even used in the situations where high pressure is required. The offered range works on theory of vacuum that is created when the piston moves left at the time of suction stroke. Therefore, the pressure that is increased in the cylinder cause suction valve to close and water is delivered through the delivery pipe. Antiscalant Dosing Pump involves the pretreatment injection of antiscalant into feedwater before it gets entered into RO membrane. This pump is used in the treatment of water for proper functioning. The presence of antiscalant delays chemical reaction between calcium, bicarbonate and magnesium, causing the water to get purified by RO. The pump is designed with the usage of premium grade components that are sourced from reliable vendors. In order to work in compliance with international quality standards, the available range is tested on various quality parameters.